Hypnotherapy has been proven to be the most effective way to stop smoking for good. Statistically it is between two and five times more effective than all other methods including nicotine replacement therapy (patches & gum) and any available drug. Our stop smoking program is the answer you have been looking for to beat your nicotine addiction permanently with just one session. The advanced techniques used by our therapists will remove your cravings and nicotine addiction in just one session. Giving you the healthy, habit free, life you desire. Smoking is ruining your health, your looks and your fitness. Your life will be so much better in every way as a non smoker. Hypnosis is the most effective way to quit smoking fast and remain a non smoker. Hypnotherapy has been proven to be more successful than all other stop smoking treatments on the market. Stop today with our smoking cessation specialists. 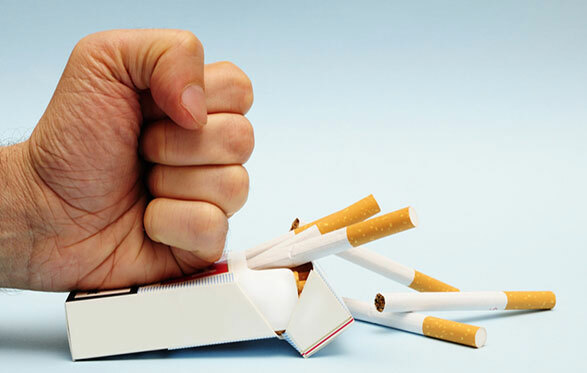 If you're ready to give up smoking, then we have the solution to help you do it - Hypnosis to Stop Smoking. It's time to take control of your life and quit smoking, for good. Speak to one of our stop smoking specialists today and find out how we can help you stop smoking with hypnotherapy. Live a smoke free, healthier, happier life today with hypnotherapy to quit smoking. "Thank you so much, a 20 year old habit broken in just over an hour, amazing!"